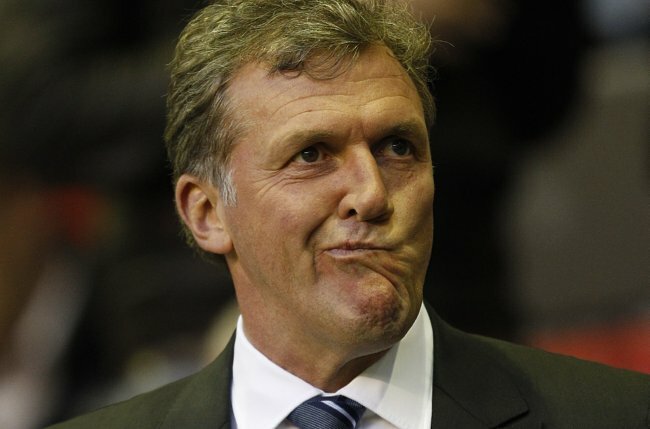 Man City Chief Garry Cook Resigns Over ‘Cancer Email’ Furore, Sort Of Admits He Lied – Unless City Website Was Hacked? The news has just broken on the Manchester City website that Garry Cook has resigned from his post over claims that he inadvertently sent an email earmarked for Brian Marwood to Nedum Onuoha’s mum/agent Anthonia that contained whimsical references to her cancer. “I am privileged to have held my position at [City] and to have experienced the opportunities that it has presented. The privilege is in part offset however by the significant personal focus which has at times, detracted from the magnificent achievements of those working at the football club. Error of judgement? Does that mean that his emails weren’t hacked after all? Is he openly admitting he lied? Would anyone be surprised if he was? Of course, one mitigating possibility we shouldn’t rule out is that the Man City site has now been hacked as well. HACK HACK HACK. Any road up, ta da Garry baby – Dr Onuoha sends her deepest sympathies. Whether or not you let the door hit you on the way out is entirely up to you. THANK YOU! THERE IS INDEED A GOD! I am SO glad this cretan will no longer be associated with MCFC. So long, farewell, aufwiederzehn, goodbye, you scumbag! Maybe this is another lie – maybe Pies is being hacked as we speak?! Maybe Alan Duffy was ‘hacked’ too… Maybe my computer is being hacked right now and this is just a cunning ruse… how deep could this go? What are the odds on Peter Kenyon making an appearance now Cook has gone? These comments are all hacks. Even this one.